The Southwestern Medical District delivers renowned health care in partnership with innovative, world-class research and education. 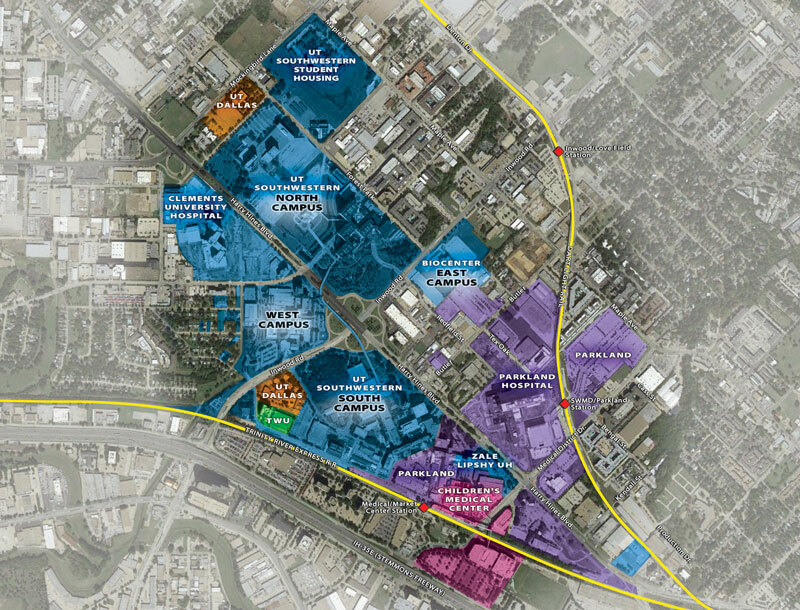 The District – bordered by West Mockingbird Lane, Medical District Drive, Stemmons Freeway (I-35E), and Maple Avenue – covers more than 1,000 acres and includes a medical complex that employs a workforce of more than 35,000 people. Its medical facilities attract more than 2.9 million patient visits a year to its clinics and hospitals, providing services from pediatric preventive care to geriatric services, from lifesaving emergency care to heart transplants. Parkland Memorial Hospital was the first facility to open in the District in 1954 and soon partnered next door on Harry Hines Boulevard with UT Southwestern Medical Center. 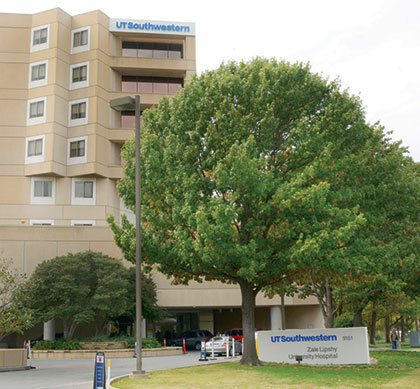 The former UT Southwestern St. Paul University Hospital opened in 1963, Children’s Medical Center Dallas in 1967, UT Southwestern Zale Lipshy University Hospital in 1989, and UT Southwestern William P. Clements Jr. University Hospital (which replaced the St. Paul facility) in December 2014. The District today continues to thrive. A new Parkland Memorial Hospital opened in summer 2015 on land directly across from the former structure. The new Parkland campus includes an 870-bed acute care hospital as well as an outpatient center. UT Southwestern’s state-of-the-art medical facility – the 12-floor, 1.3 million-square-foot Clements University Hospital – has also changed the District’s skyline, and continues to do so. 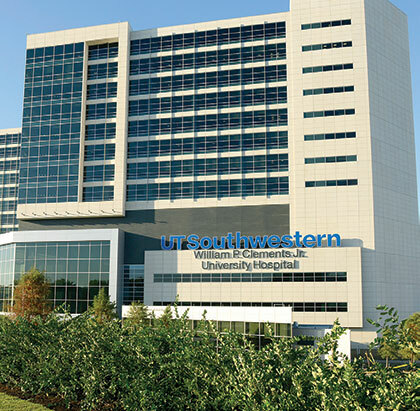 In 2017, UT Southwestern broke ground on a 650,000-square-foot expansion of the hospital. Meanwhile, a new 305,000-square-foot academic and clinical building opened in 2018 on the West Campus. On the East Campus, UT Southwestern’s BioCenter is home to innovative biomedical companies, and a 63,000-square-foot radiation oncology building houses the most advanced equipment for treating cancer in North Texas. UT Southwestern ranks among the world’s top academic medical centers. Its physicians provide the highest-quality care at hospitals and clinics throughout the Medical District - health care often based on research conducted in UTSW’s own laboratories. Its faculty members - responsible for a broad array of groundbreaking biomedical research advances - are respected for their dedication to teaching and training. who come to UT Southwestern to learn and discover. 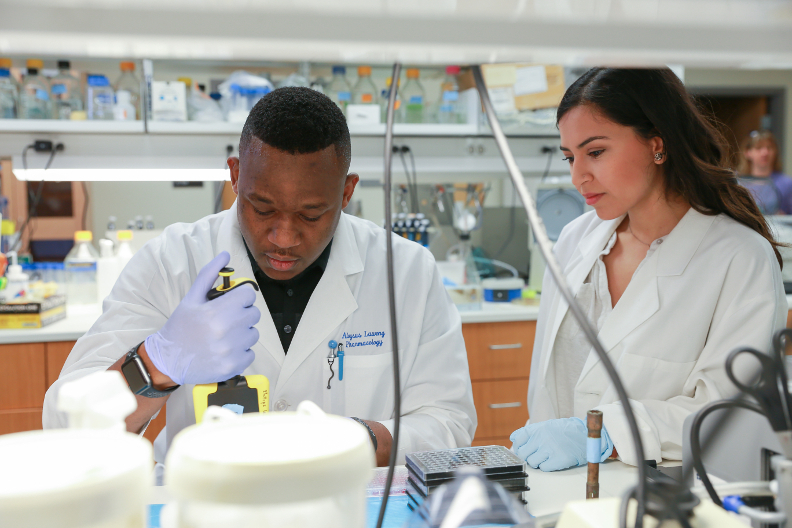 Its Medical School and School of Health Professions train future health care professionals, while the Graduate School of Biomedical Sciences educates the next generation of biomedical investigators. Research provides the foundation on which preeminent medical education and patient care are built. At UT Southwestern, research into the basic life processes and research on specific diseases go hand in hand. Investigations into cancer, neuroscience, heart disease, stroke, arthritis, diabetes, and many other fields keep UT Southwestern at the forefront of biomedical research, driving the discoveries that lead to new ways to prevent and treat disease. 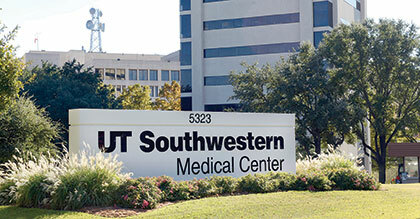 The Medical Center operates two UT Southwestern University Hospitals and several clinic facilities on campus, offering comprehensive diagnostic services and therapies for residents of the Dallas-Fort Worth Metroplex and around the world. Complementing those facilities, UT Southwestern’s outpatient clinics in the Park Cities, Richardson/Plano, Las Colinas, Frisco, and Fort Worth offer treatment for specific disorders, while delivering access to the latest medical breakthroughs. friends of UT Southwestern, the 460-bed hospital is, first and foremost, a caring environment for patients and their families. At the same time, Clements University Hospital is a site for fulfilling the fundamental missions of discovery and education that have been UT Southwestern’s hallmarks during its 75-year history in Dallas. Services offered at the new hospital include cardiology, cardiothoracic surgery, heart and lung transplantation, obstetrics and gynecology, and vascular surgery. Zale Lipshy University Hospital, a 148-bed facility on the South Campus that opened in 1989, is across from Parkland. It is one of the world’s premier neurological diagnostic and treatment centers. The Zale Lipshy Neuroangiography unit is a vitally important factor in the diagnosis and treatment of neurological disease, and physicians based at Zale Lipshy specialize in diagnosing and treating patients with neurovascular diseases, stroke, Parkinson’s and other neurologic diseases, as well as neurologic malignancies. Other specialties at the hospital include spine, orthopedics, neurosurgery, neurotology, psychiatry, and rehabilitation. Southwestern Medical Foundation is dedicated to supporting UT Southwestern and its affiliated institutions. 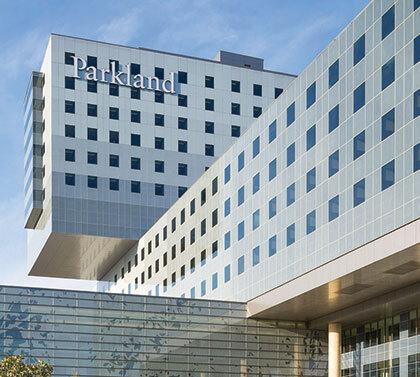 The Parkland system includes Parkland Memorial Hospital, 12 Community Oriented Primary Care health centers, Parkland Community Health Plan Inc., and the Parkland Foundation, as well as many other clinics and community education and prevention programs. Parkland Memorial Hospital is the primary adult teaching institution of UT Southwestern, and UT Southwestern’s distinguished faculty physicians are responsible for caring for the hospital’s patients. More than 40 percent of the doctors practicing in Dallas received some or all of their training at Parkland. For more than 120 years, Parkland has cared for anyone in need, employing important principles of public health, such as early intervention, affordable access, primary care, and preventive medicine. As the county’s only public hospital, Parkland ensures that health care is available to all county residents. Private physicians refer patients to many of Parkland’s centers of excellence, including specialty care for stroke, epilepsy, women and infant services, and spinal-cord injuries. Its Level I Rees-Jones Trauma Center and Burn Center are internationally recognized. The Regional Burn Center, established in 1962, pioneered skin graft techniques, infection control, and nutritional support for burn patients. It is the only burn center in North Texas verified by the American Burn Association. Parkland’s Level III Neonatal Intensive Care Unit offers highly specialized services for infants. Parkland’s network of 12 neighborhood-based health centers, 12 school-based youth and family centers, and a homeless medical service, as well as many other prevention and education programs, provides primary care and education to reduce illness and death rates from preventable diseases in Dallas County. 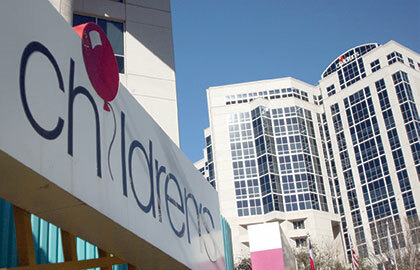 Children’s Medical Center Dallas is a pediatric medical center and is the flagship hospital of the larger Children’s Health system, devoted to caring for the medical needs of children from birth to age 18. With-in the Medical District, Children’s Medical Center completed a major renovation in 2011 that included a 10-story tower that added services and expanded capabilities. From health and wellness to complex conditions requiring specialized care, Children’s Health has capabilities that span the continuum. As the eighth-largest pediatric health care provider in the country and UT Southwestern’s primary pediatric teaching hospital, Children’s Medical Center is the only pediatric academic medical center in North Texas. subspecialty programs and receives nearly 850,000 patient visits annually at its two full-service campuses in Dallas and Plano, Our Children’s House, multiple specialty care centers, and Children’s Health Pediatric Group primary care locations throughout the Metroplex. Children’s Medical Center Dallas has consistently been named among the nation’s best pediatric hospitals by U.S. News & World Report. It delivers the highest level of pediatric trauma care in the region as a Level I Trauma Center, has been awarded the prestigious Magnet designation for nursing excellence, and is accredited by The Joint Commission.